"The stench of cordite assailed his nostrils..."
At least you may know, stranger. Except from A Methodist on the Continent by Mr. David Gorman esq. Ruritania; a small kingdom of perhaps three million soul and is the hereditary seat of the House of Elfberg. Situated on the Adriatric and bordered by the Austrian Empire to the north and the Ottomans to the east, Ruritania has maintained its independence by implacable resistance to both of its larger neighbours in every period of its history. It is a fertile and well ordered land and is administered by a German speaking Junker class, though the common people are more properly considered Slavic. This admixture is a result of the conquest by the Teutonic Orders in the late 13th century of the heathen chieftains that ruled the kingdom at the that time, who lived in a very rude state. Thus the Slavic population were ruled over for a time by a class of Teutonic overlords, who were eventually assimilated into the whole. The Ruritanian may therefore be considered ethnically a Slav, but German in his manners and tastes. Though in many ways a backward kingdom, much attached to superstition and Popery, the Ruritanians are both a brave and a friendly people and less given to irrational prejudice than the typical run of their continental co-religionists. They are also to be commended for having never once treated with the French during the late war against Bonaparte. Though occupied for a time, they fought on both in the guerilla (little war) as was done in Spain and in the service of King George as part of the King’s German Legion. I don't actually remember W.E. Johns ever writing those words, but they're certainly representative of his prose. Biggles Pioneer Air Fighter is a better book than those than those that came after, lacking the casual racism of Biggles and the Black Pearl or the hackneyed plots of the Air Detective stories. The book itself is a collection of short stories, by turns grim, adventurous, funny and touching, they form the best part of W.E. Johns work. I suppose this could be because they are the stories most closely based on his own wartime experiences. But my critical faculties are not be trusted here, Pioneer Air Fighter was the first book I ever read for pleasure and therefore has a special place in my heart. D (my usual wargame buddy) and myself are running a game of "Jump or Burn" at Leprecon next weekend. I'm busily assembling and painting 1/300 biplanes. I should have pictures of completed aircraft in a couple of days and hopefully some pictures of the games in progress. D has splashed out on some rather natty flying stands, so it should look rather good. I've been giving some thought recently to why Ruritania is sticking with me. Normally I lose interest in projects after a couple of months and move on to the next fad, but this is one that keeps me coming back. The idea of the "Imagi-nation" is not a new one, but I find it interesting what people get from them. Stokes obviously enjoys the story telling aspect of the whole enterprise as well as the idea of putting together a genuinely "old school" wargame like those pictured in "The Wargame". Jean Louis is interested in more extravagant flights of fancy, specifically those that allow him to indulge his penchant for fantastical military costume. Myself, I'm not so sure why I enjoy Ruritania so much. I suppose I enjoy the challenge of putting together a society that convinces me, building one that has things that I like or find interesting, while still remaining plausible. I suppose that's why I steal so much material from real life, it has the benefit of not having to be believable. I've ploughed on through the Revolutionary French (aka Ruritanian Landwehr) and finished off another unit of twenty seven yesterday, which puts me on 68 Phil Olley painting point thus far this year. I've been hoping to field have eight to ten units of these chaps and two boxes of HAT Bicorne French Infantry in Greatcoats has yielded four units so far. I reckon another two boxes would put me at the ten, as I still have 80 or so figures left over from the original two boxes. I've gotten really quite quick at painting these, though I say so myself. The purchase of four boxes of Italeri French Dragoons should mean that I'll be able to muster my three desired units of cavalry at eight men to a unit in the desired poses. All that remains is the guns, I bought a box of the fantastic looking Zvesda French Artillery set, but I'll need to do some head swops. None of my reference material has any pictures of Revolutionary era French artillery, so that's something to track down. My Revell Thirty Years War Swedish infantry, who will God willing eventually be turned into pike wielding 1798 rebels (picture above), remain in their boxes. They'll need to be bolstered by several boxes of HAT Spanish geurrillas to make the appropriate numbers. Ideally, all this painting is for a game that will hopefully use a 6 by 4 ft Hotz mat with five inch hexes. The rules will be a modified version of Battlecry or Clash for a Continent. I'll probably run a campaign in the pub using four figure units and regular Memoir 44 boards long before any of this is finished, just to get playing. In the mean time I'm bolstering the forces of King George by painting up a box of Revell's British Foot Artillery, two guns and eleven crew. A little support for the Halberdiers as the battle of Corunna approaches. 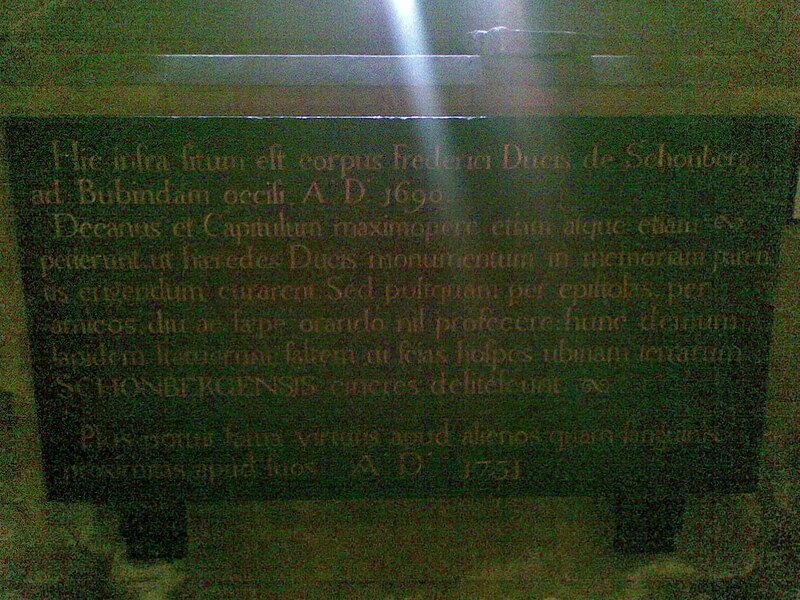 Picture (taken with my phone, sorry about the poor quality) of the Duke of Schomberg's memorial, St. Patrick's Cathedral, Dublin. Large image, click to enlarge. I belted it into work this morning as my pal's train was late and I had to come in early to open up the ranch. As I was bumbling around in the dark, turning on lights and the like, I came across this. I had seen it before, but I'd never really paid attention to it. Also I'd forgotten that the Duke was actually buried behind it. But I thought I thought there might be some who read this to whom it would be of interest. But for those gamers that build victory monuments for their armies, I would suggest that for every Blenheim memorial, there are probably rather more Schomberg's then you'd like to think. where the ashes of Schomberg lie buried. the ties of blood among his kith and kin. AD 1731." The Latin inscription was written by Dean Swift. army and subsequently served France with distinction in the 1650s. I spend a very pleasent evening in the Mess (Cassidy's bar on Westmoreland St.) yesterday in the company of Messrs. Maher and Gorman. The food was good as always and though I was off the sauce for lent*, the staff were very pleasent and didn't look askance at three chaps playing boardgames two of whom were drinking coffee. We played a variant of Battlecry put together by Mr. Maher. It had been a while since I'd played this on the regular sized board as opposed to the large games that we usually play. As usual I played the Union, while General Gorman took command of the Rebels at Chickamauga. Sadly, it was not a great day for the Federal army and we were driven from the field. Mr. Maher's alterations to the game were interesting, though they were so comprehensive that I'm hesitant give an opinion. The cavalry were too powerful, much though it pains me to say it, beyond that, I think, the only definate lesson that can be drawn is that more playtesting is necessary. We then played a game called Clash for a Continent, which is a Battlecry style board game of the French and Indian War and the American Revolutionary War. It differs from Battlecry and the other Command & Colours game in using dice rather than cards to determine how troops may act. I played the Triconderoga scenario once against Mr. Gorman and succeeded in driving General Montcalm's men from the firestep albeit at the cost of a many brave grenadiers. An attempt by my light infantry to cross the lightly defended northern section of the wall ended in disaster when they were cut off and forced to surrender. But in the end, victory was mine. The French were driven from the fire step and cut down before they could reach the bastion. General Montcalm offered me his sword, which naturally I returned to him and all was well with the world. Messrs. Maher and Gorman played the Triconderoga scenario twice more, with one French victory and one British, though Mr. Gorman did as usual have the luck of the Devil himself, shattering two regiments of British troops and driving a third from the field with a single volley. I suppose he was due some luck though, as last time we played the Battle of the Plains of Abraham he lost both Wolfe and Murray in the first French cannonade. Beyond that, nothing much to report except that another regiment of twenty four Ruritanian Landwehr are nearing completion. I did the musket barrels, flasks and pack straps today, which leaves the cross belts, rossettes, hair, plumes and bases to be done. But they are for another day. *Easily the one of hardest things I've ever had to give up for Lent, barring swearing, which was actually impossible, eating pig products, which just made me miserable and shooting Germans, which meant that I just painted figures or umpired for a month and got very grumpy. Officers and Men of the 46th Regiment of Foot on parade at the East Wall Barracks. To the rear: Enlisted men in the regiment. Captain Chatham, Ensign (& acting surgeon) Hanson, Lieutenant McIntyre, Toby (surgeon's orderly & assistant to Mr. Hanson). Large picture, click to enlarge. Officer Lace – Silver with a black line. The 46nd Regiment of Foot (The Royal Corps Of Halberdiers) is, as you well know, the finest regiment on God's green earth. The regiment comprises of three battalions: The 1st (Service), 2nd (Depot) and 3rd (Fencibles). The Halberdiers are commanded by an officer called a 'Captain-Commandant' - a rank derived from the Corp's origins as the Earl Of Essex's Honourable Company Of Free Halberdiers during the reign of Elizabeth I. The current Captain-Commandant is Sir Julian West, an old Tory with a mania for music. which saw the Government forces routed by the Jacobites. The regiment subsequently took part in the defence of Edinburgh Castle which never capitulated to the Jacobite rebels during Bonnie Prince Charlie's control of the city of Edinburgh. The Jacobite Rebellion was eventually crushed by Government forces in 1746 and Charles was forced to escape to France. a siege that culminated in a French surrender. The following year the Halbardiers took part in the legendary Battle of Quebec which saw British forces, under the command of General James Wolfe, prevail again French forces in a battle that concluded a 3-month siege of Quebec. Wolfe was well-respected by his men, to such an extent that to commemorate the death of Wolfe in the battle the Halbardiers began wearing a black line in their lace. Hill which saw a British victory but at heavy cost. British forces on the 17 October. It did not return home from its enforced stay until 1783 and the conclusion of the American War of Independence. in the West Indies during the French Revolutionary War. In 1794, a third battalion was raised in Essex as part of the invasion scare that was sweeping the country, but was disbanded soon after. In 1803 the 3rd Battalion was raised again and the following year deployed to Ireland. In 1806 the 1st Battalion arrived in the Cape of Good Hope to undertake garrison duties in the territory captured from the Dutch. That year an unsuccessful, and unauthorised, expedition to the French allies Spain against its South American possessions, led by Sir Home Riggs Popham, took place. Uruguay), which culminated in the capture of the city on the 3 February. The Halbardiers also saw action in July during the mis-managed attempt to capture Buenos Aires (now capital of Argentina) from the Spanish. The attempt to capture the city failed and the British force was soon surrounded and forced to surrender. The 1st Battalion eventually arrived in Spain in 1808 as part of Sir. John Moore's army sent to support the Spaniards uprising against the French. As befits the regiments origins, Halberds are a recurring theme. The regimental colour shows a lion over crossed Halberds. All company sergeants are required to carry them. The Ensign assigned the company colour, traditionally attaches it to a Halberd though this is not required by regulations. It is laid down in the standing orders of the regiment, that any colour party must have at least two men armed with Halberds and trained in their use. Such training also forms a part of the breaking in of any new ensigns assigned to the regiment. Officers wearing lace at their cuffs are asked to put a line of black through it in remembrance of the death of Wolfe. food and drink (mostly drink) for the lucky man's mess. Newcomers to the Halbardiers often find the rules of the Mess strange and arcane. Thus far you've only learned that the youngest officer in the Mess must be referred to as "Boots." fact that causes no end of anxiety for officers forced to live on their pay. The Regiment is made up of three battalions, the first battalion (service), the second battalion (depot) and the third battalion (fencibles). You are all with the first battalion, the service battalion which does the actual fighting. The third battalion is a battalion of fencibles. A short of home guard outfit raised from the local area to defend Britain in case of invasion from France. "Does it really matter what these affectionate people do— so long as they don’t do it in the streets and frighten the horses!" - Mrs. Patrick Campbell. I like blogs in theory, particularly when they are other people's, and I've had a few myself over the years. They have generally faded away from lack of interest as I rarely post to them often enough, mainly because the tide of mundanity that ebbs and flows through my day should not be suffered to wash against any shores but my own. 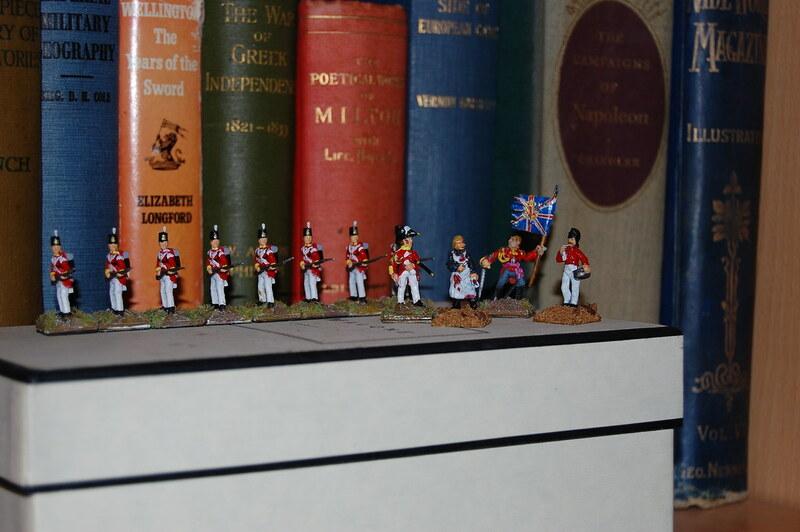 I do have a hobby though; painting and playing with Toy Soldiers. I can take endless interest in it and can spend countless hours that would better be spent writing, working or otherwise bettering myself painting Toy Soldiers. I once tried giving it up. 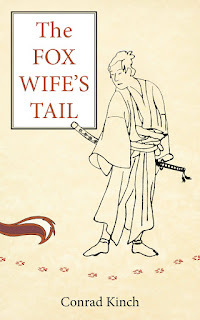 I lasted a few months, when my fiancee, whose patience had been sorely tried by my abstinence, asked me, "When are you going to find yourself a new war honey?" Like many wargamers, I am a man of many projects, almost all of which will, no doubt, go unfinished. This is where I will chronicle my progress, or more likely, my lack of progress, without frightening the horses. - Paint 8 Great War era planes for a convention game at the end of the month. - Paint small armies for a War of Ruritanian Succession campaign set in 1837.
c) "Operation Otari" - A fictional French invasion of Britain. 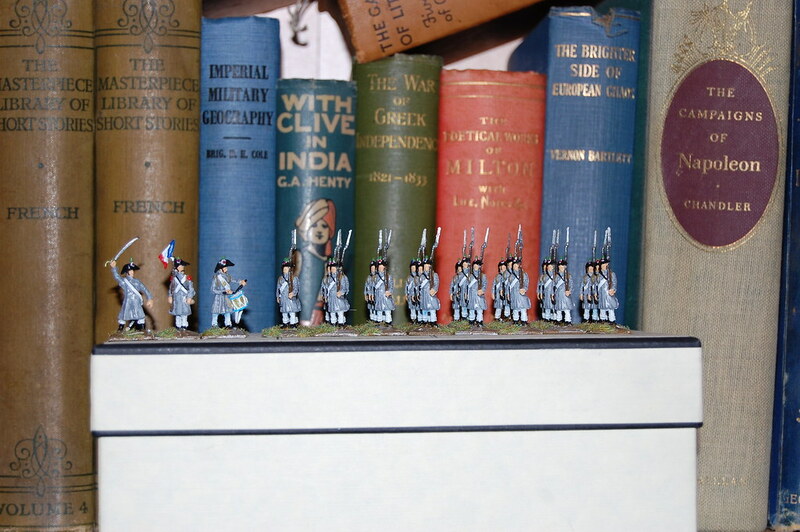 The miniatures pictured above are 1/72 HAT 8146 - 1805 French Line Infantry in Greatcoats. I hadn't really didn't intend picking them up, when I actually went into the shop, I was looking for 8034 - French Young Guard, but they were there and they looked really nice in their big chunky boxes. While they're made of a softer plastic then I used to working with they paint up rather well and like most large sets from HAT come with a wide selection of wargamer friendly marching poses. The great coats take away a lot of the need for detail that makes painting Napoleonics so time consuming. On the other hand, now that I've bought them, I have to come up with something to do with them. While I legitimately argue that the supply situation in Spain being what it was, it was conceivable perhaps that certain units would not recieve the shako for several years after it was officially issued, though this is almost certainly stretching a point. They will also see service as members of the Ruritanian Landwehr, when I finally get my Imagi-nation off the ground. That said, they are very nice figures and paint up well en masse, it would be churlish to lament mustering them into the service.